Look what we have! Activated sourdough starter! Zander waited patiently while I fed it enough to get the amount needed for him to make sourdough pancakes. Some will remember the sourdough catastrophe from September. I tried to make my own starter, but they kept molding. Christina was in the states but when she returned home she came to our rescue. BTW Christina (I'd guess in her 20's/30's) is an example of a younger woman mentoring and older woman in her area of expertise - and I think of her every time I feed the starter, make English Muffins or pizza dough or pancakes. Zander was up bright and early to make pancakes - 06:15. 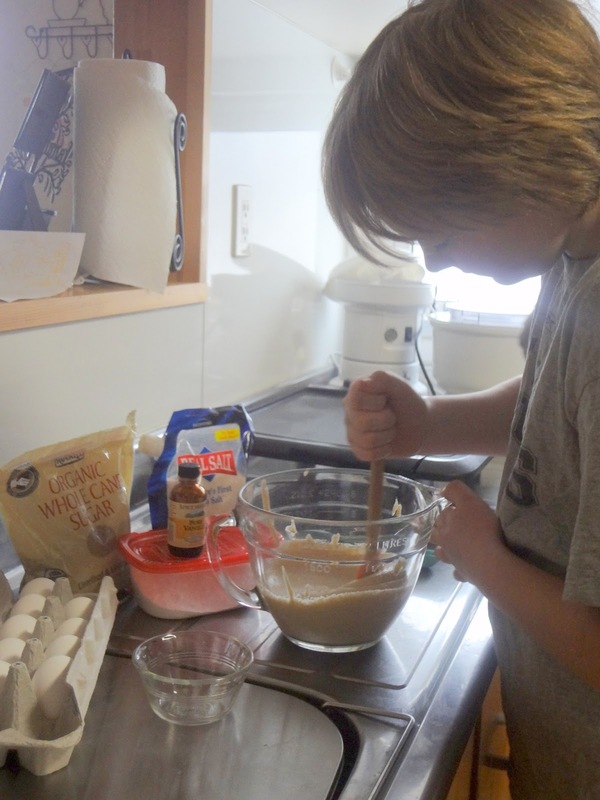 He insisted he needed to make big pancakes as "Nolan and Dad would like them best if they are big." I guess they don't like my "girl size" pancakes. We went on to get a full day of school done, read 45 minutes of The Hobbit, and the kids continued work on the igloo at the end of our driveway. All is well in Zander's world. 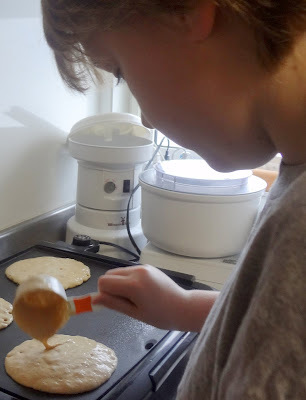 And though I'd told Zander no one was upset with him for that mishap in September....I could see the joy of redemption/restoration as he served these pancakes this a.m. - and made sure I had enough starter left to make pizza dough for tonight. SIS: How special! My Uncle Roy in Buffalo, Wyo always has sourdough starter........ 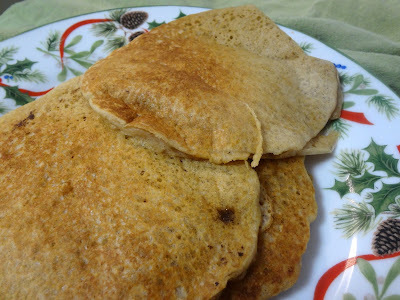 I always loved to be at Aunt Della and his home because Pancakes were always the beginning of everyday and I'm with Aleander in that sourdough pancakes are the BEST! WAY TO GO ALEXANDER! love/prayers - mom and/or g'ma t.